The consulate team was up early to prepare for the meeting and to travel across town to the Provincial Hall – it was morning commuter traffic and it can get heavy and delays are often expected. This meeting was an opportunity to present my credentials to the Provincial Governor. 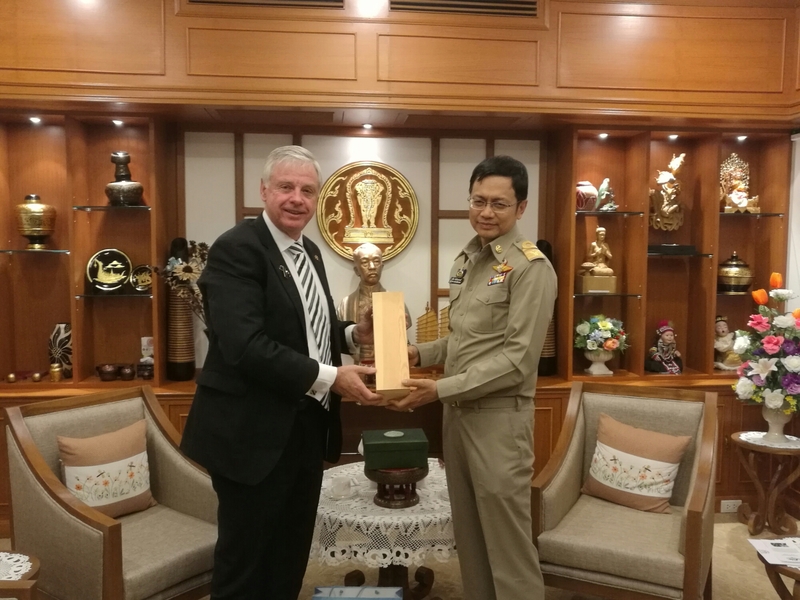 The local representative of the Thai Ministry of Foreign Affairs arranged this encounter as a follow up to my appointment as Honorary Consul of Australia for Northern Thailand. I was able to explain my background, the jurisdiction, role and functions of the Consulate. 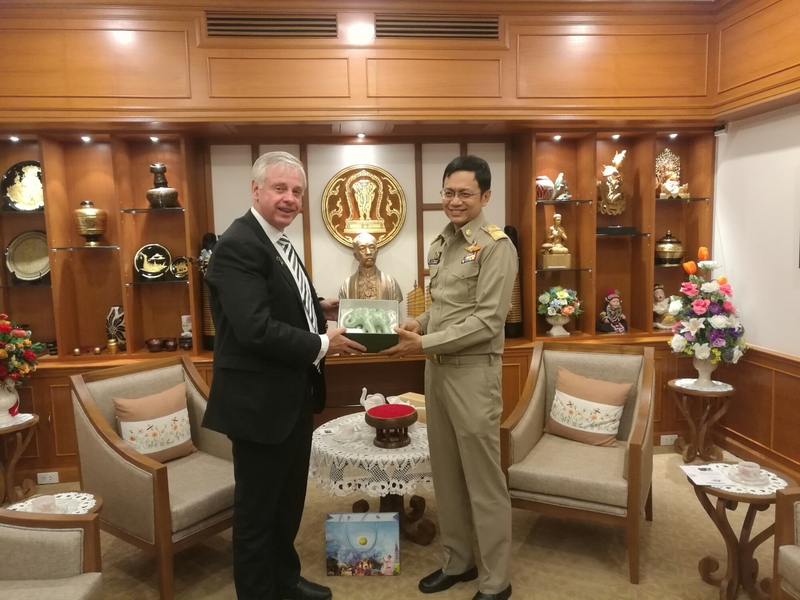 The meeting took place at the Provincial Hall in Chiang Mai on Monday 20th February. 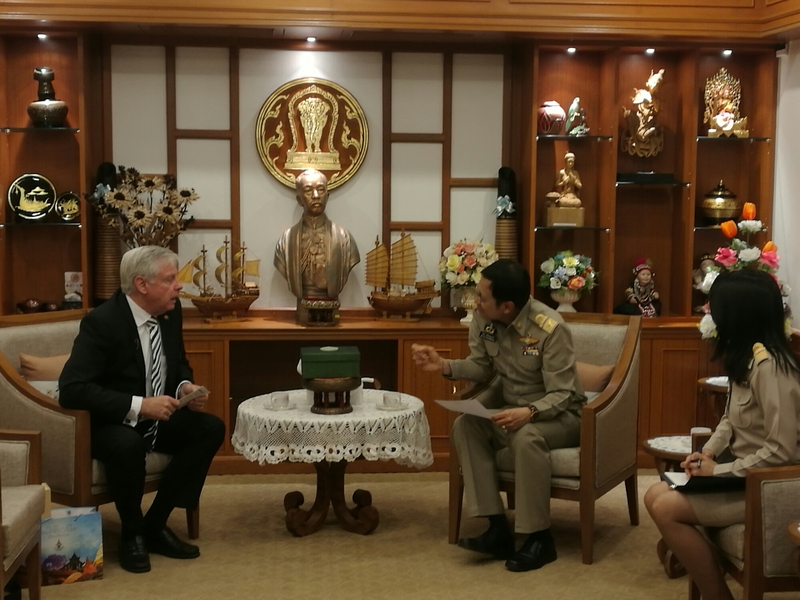 We also discussed opportunities to meet with other Northern Thailand Governors. 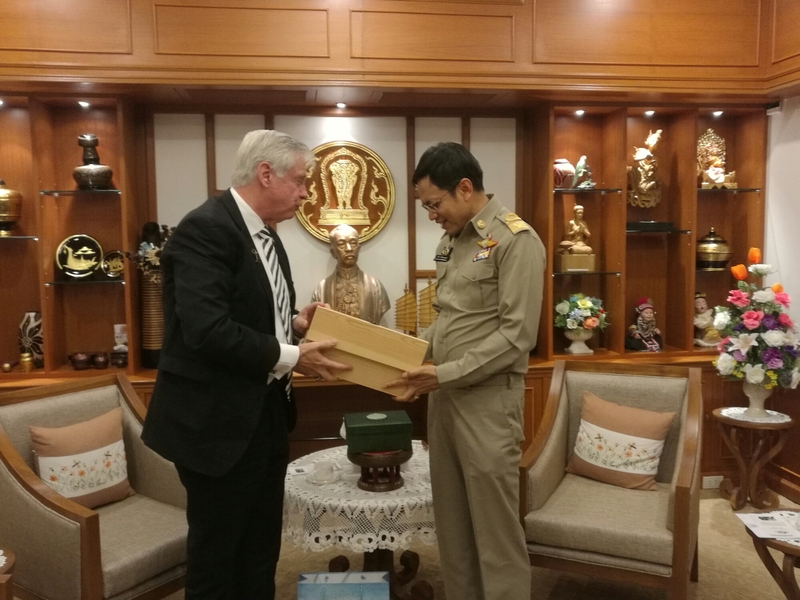 We discussed some of the future plans for Chiang Mai in relation to public transport and installation of underground power cables which have been in the news recently. Thanks to Ace, he was able to translate some of the discussions and to make the meeting more meaningful. 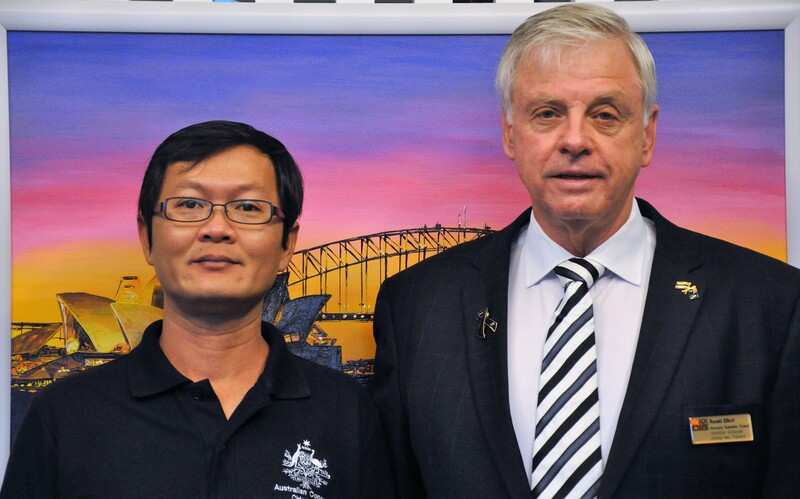 It was an opportunity to further Australia’s public diplomacy in Thailand. At the conclusion of the meeting we exchanged souvenirs of the visit. It was a most relaxed and enjoyable exchange.